I have been around dogs all my life. When I was growing up, I always had hands-on experience in caring and training of my family dogs. All American Dog Training has given me the chance to turn a lifelong hobby into a career that I love. 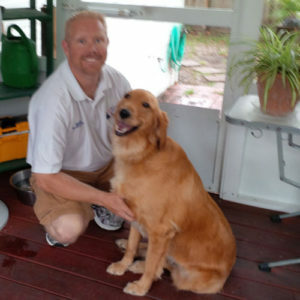 I have been trained through All American Dog Training Master Training program and have been with All American Dog Training Academy for 18 years. 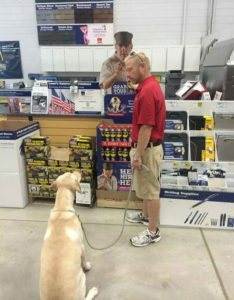 I was the training supervisor for 10 years and became the Vice President of All American Dog in July of 2009. 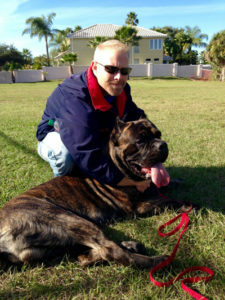 My wife and I became the new owners of All American Dog Training in 2011. Hope and I have been married for 14 years and have 3 wonderful children. I have a military training background where I was trained in all levels of Obedience, Behavioral Modification, Personal Protection for home or business. I also train many of the Service and Therapy dogs and their owners and their special needs. I am a certified APDT member and a member of the AKC's Canine Good Citizenship program. When you hire All American Dog Training, I will make sure you receive the best training and experience possible for your family and your pet.